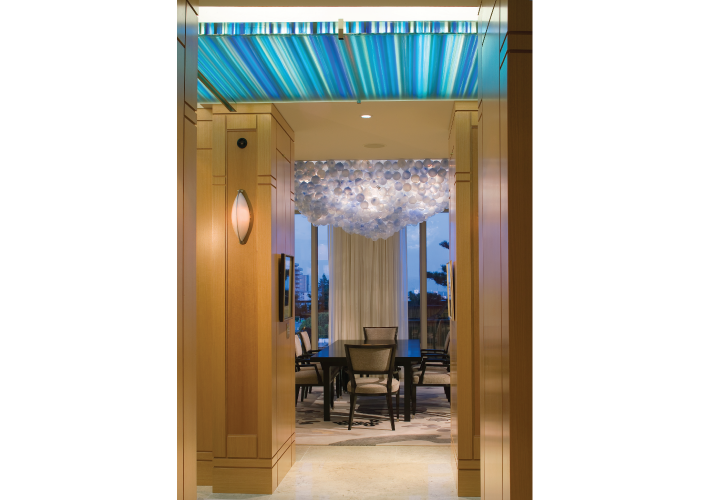 Handblown glass, stainless steel, illumination. Inspired by clouds. 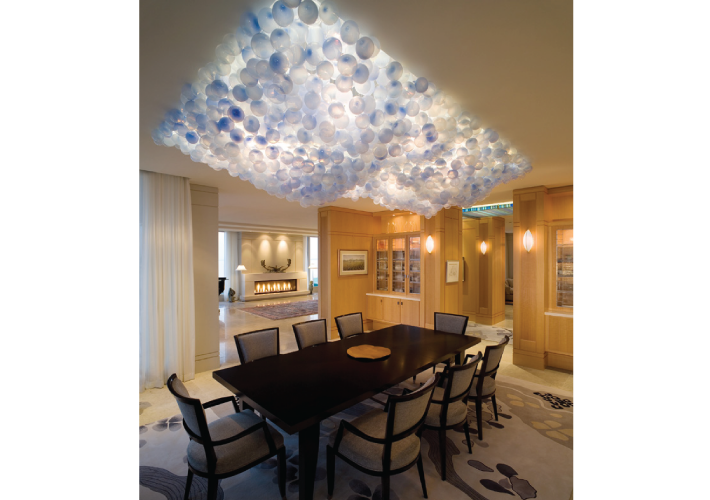 The subtle colour of 2000 handblown glass balls are matched to the Pacific West Coast sky.